Complete Guide to Swing Dance Lessons San Diego here! East Coast swing is also called “rock & roll dancing” in some places, East Coast Swing is a circular form of swing dancing that’s easy to learn and involves exciting spins & turns. It’s often danced to the likes of Elvis Presley, Bill Haley, Bill Elliot, The Beach Boys and contemporary artists like Brian Setzer or Big Bad Voodoo Daddy. 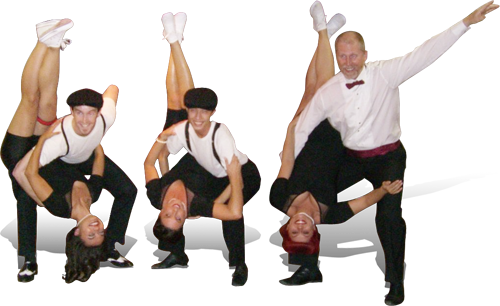 Jitterbug swing dancing is the single rhythm form of East Coast Swing that’s most suitable for medium to fast music. For further information, visit our Jitterbug Swing page. West Coast Swing is the state dance of California, but has been gaining popularity worldwide. It is danced to a wide variety of music, including the last several decades of pop, R&B, jazz, blues, hip-hop, soul and more. Because of its versatility and use of the latest contemporary music, it is presently one of the most popular forms of swing dancing. For further information, visit our West Coast Swing page. Lindy Hop is the original form of swing dancing that developed in the 1920’s and 1930’s in Harlem. In the 1980’s and 1990’s, the dance was revived through old films and by working with some of the surviving original Lindy Hoppers. Lindy Hop dancers incorporate elements of related dances from the same era, including solo jazz, Charleston, Balboa and Shag into their movement. For further information, visit our Lindy Hop page.